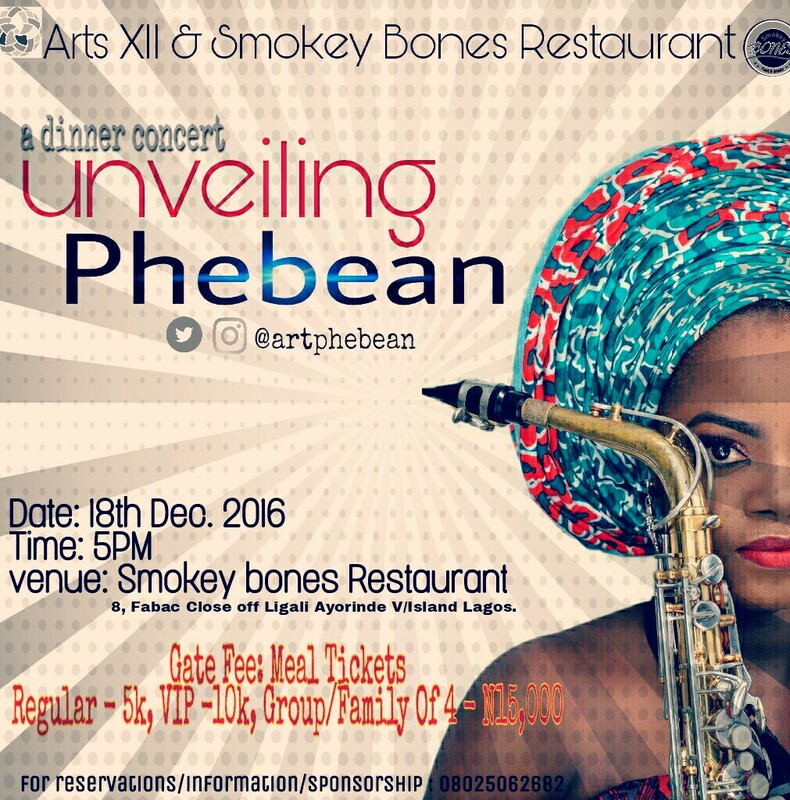 One of the Nigeria’s most talented Saxophonist, Phebean, will be having an dinner concert to promote the growing niche of Saxophonist in the country. 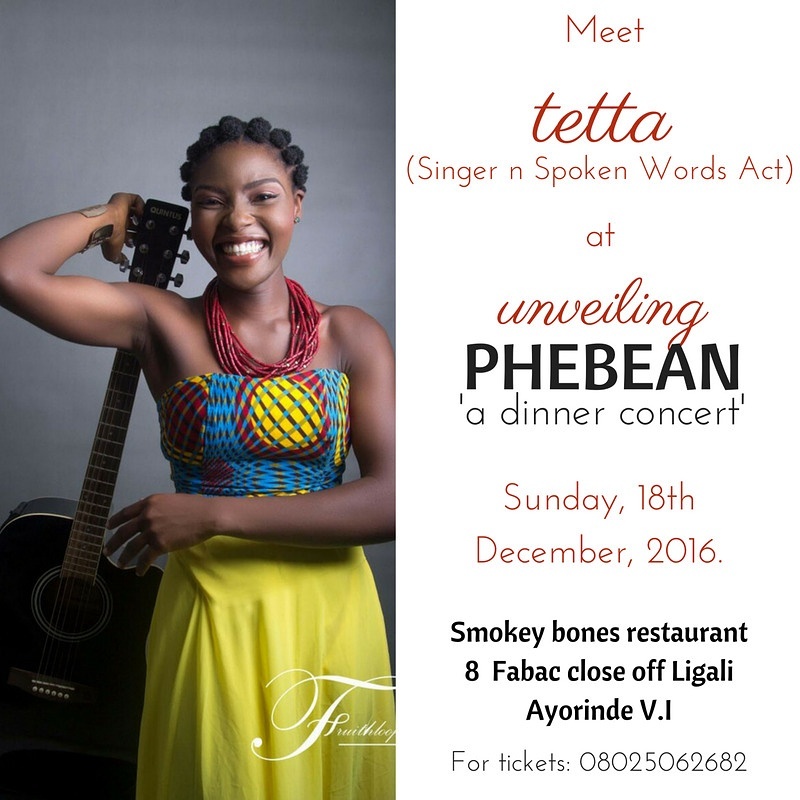 Having picked the Saxophone about 10 years ago, Phebean Aspires to join the list of veterans such as Fela, lagbaga, Orlando Julius, Mike Aremu, Yemi Sax, Manu dibango who have their contributed their bits to the popularity of the horn. 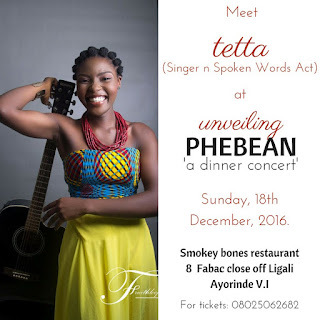 Unveiling Phebean will bring the very best of Contemporary music with features of Jazz musician Olujazz, the Voice Nigeria Finalist Linda Nneka, spoken word acts Tetta, Poet Papi and a host of top talents in the music/art industry cutting across old and young. The energetic, afro-centric and soulful styled Saxophonist, who has a vision of giving every Nigerian child a chance of music education, hopes to use proceeds to fund her pet project. Gate fee: Meal tickets (Regular-5,000 , VIP – 10,000, Group/family of 4 – 15,000).